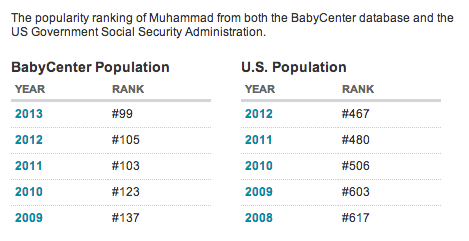 Muhammad is in the 70th position, regarding Babycenter website. 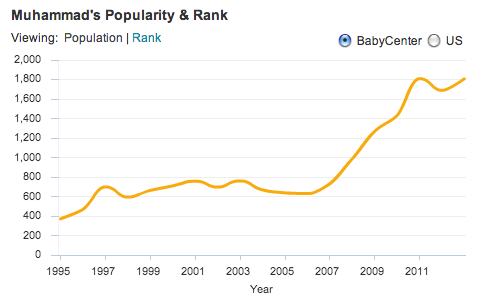 The BabyCenter website provides for each name more details. For the Muhammad firstname, we can see in the following table, it just progressed since few years. The evolution is more seen in the following graph. In Last August, the Muhammad firstname came in the top 100 first names in Australia, with an other arab name Ali. Few months after, in August, we knew the Muhammad first name was nearly in the top of the list of first name in London. In Paris, this firstname is in the 100 firstnames the more given. 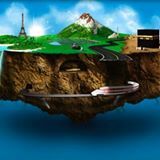 Translated by Maria from French : Muhammad dans le top 100 des prénoms aux Etats-Unis.